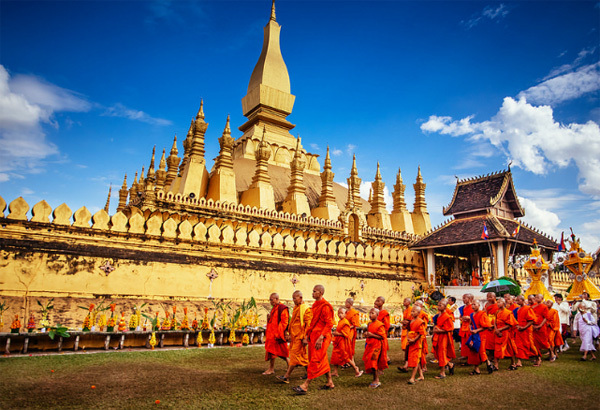 This multi desination tour combines the historical city of Luang Prabang, the Plain of Jars site at Xieng Khouang and the pleasant capital of Vientiane. 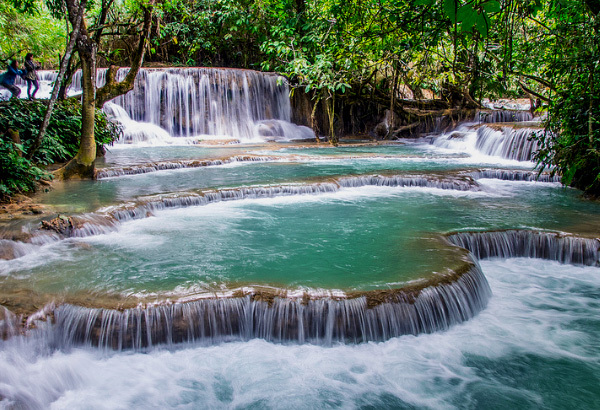 Although a small country, Laos is rich with attractions, culture and mystery. 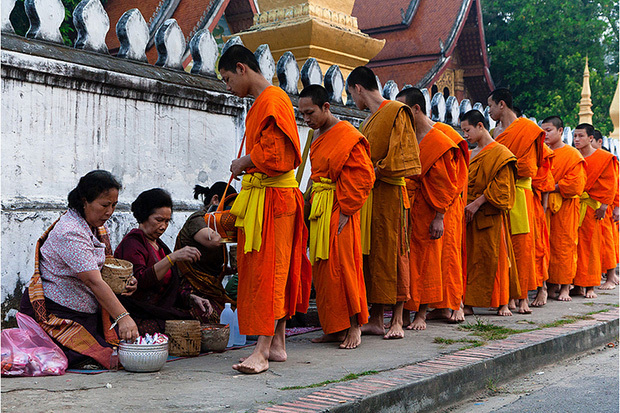 Laos preserves its unique heritage, the tradition of the daily procession of the offerings of alms to nearly 200 monks at dawn in Luang Prabang, is an attraction in itself. The AncientPlain of Jars and bizarre Buddha Park are intriguing sites; their functions and origins remain mysteries. 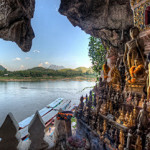 After breakfast, we embark on a cruise upstream on the Mekong River, firstly stopping at Xiengmene Village, where we visit Wat Long Khun temple and the limestone cave Tham Sakkarin, and a tour around Ban Xiengmene village. 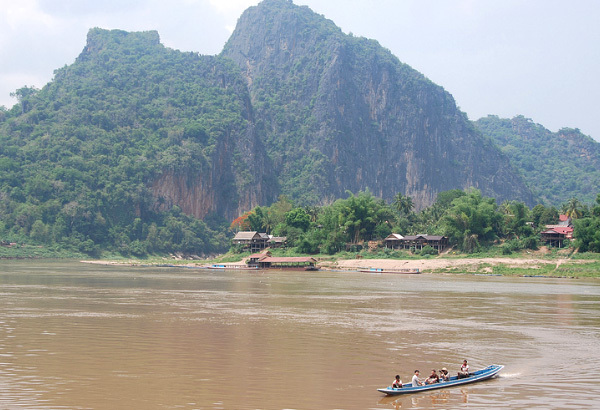 We then continue by boat up the Mekong which also gives us a breathtaking view of the tranquil countryside as well time to explore the mysterious Pak Ou Caves, two linked caves crammed with thousands of gold lacquered Buddha statues of various shapes and sizes left by pilgrims. After lunch, we return by road back to town. Along the way, we visit the village of Ban Xanghai, where they make the local rice wine and continue to typical Lao villages at Ban Xangkhong and Ban Xienglek, well known for its handmade Jute Sar paper. In the morning you will journey through Phonsavan and the Plain of Jars. 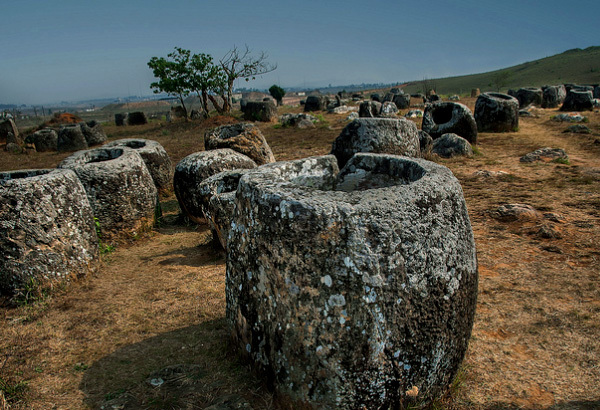 The Plain of Jars is a huge archaeological complex littered with mysterious 2000 years old stone jars sized from 70cm up to 3 or 4 meters. Their true origin remains a mystery. It seems that they were carved into boulders. Several researches lead by the French archaeologist Madeleine Colani in the 30’s suggested that they could be old graves, but to this day they remain an enigma. 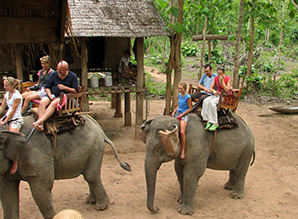 Your trip will enable you to visit the 3 sites and also discover some local villages where you can observe local village life. Site 1, close to the town is settled at Thong Hai Hin and is the biggest site. Site 2 is at Hai Hin on Phou Salator, “Phou” in Lao means “Mountain”. 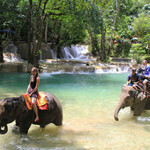 End your tour at site 3 in Hai Hin Lat Khai. Site 3 is the most impressive with over 150 jars. Close to this site, you will visit Ban Xiengdi where there is a small monastery with Buddha images. On the way back, you will pass areas that were important battlefields during the American secret war. You can still see bomb craters from that time today. Attention: The Plain of Jars has been heavily bombed during the war and you have to respect all the signs and stay along the defined trails due to bombs, UXO and landmines. 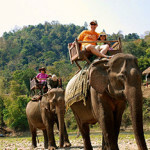 In the afternoon, enjoy a half day trip to Muang Khoun. Muang Khoun one place in the old provincial capital that was not been destroyed by the American bombings during the secret war. 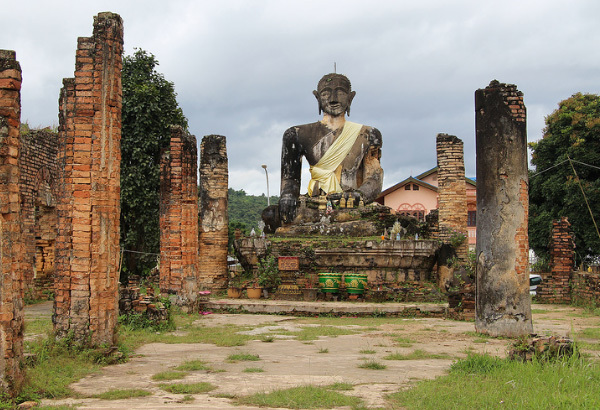 Muang Khoun is home to unique sitting giant Buddha as well of some old pagodas that lies in ruins. The foundation and columns of Wat Pia Wat are still standing and close to this site, there is also an old 30m stupa constructed in the Lan Xang/Lanna period. 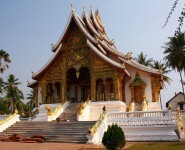 Then return to Xieng Khouang and overnight. We will take the morning flight to Vientiane. 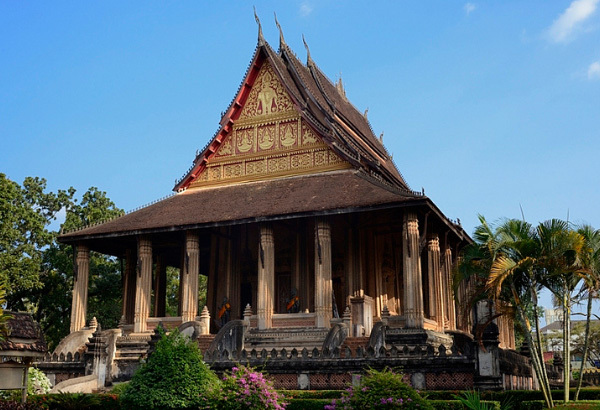 Upon arrival, enjoy a guided tour to discover the hidden charms of Vientiane. 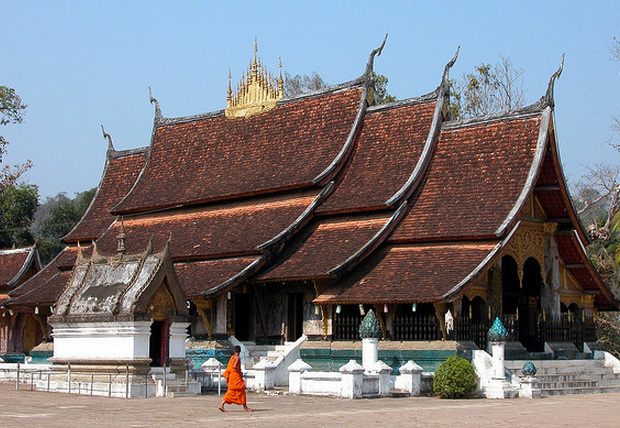 Vientiane is one of the quietest capital cities in the world, far away from the bustle and hustle of other Asian capitals. 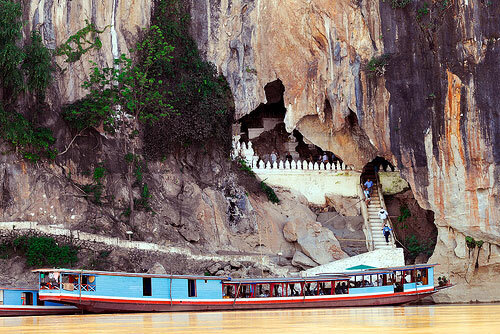 End your tour of the capital along the banks of the Mekong River as the sun begins to set. Stroll along the river, stop to enjoy a cold drink, or sample a snack from one of the many local food stalls.